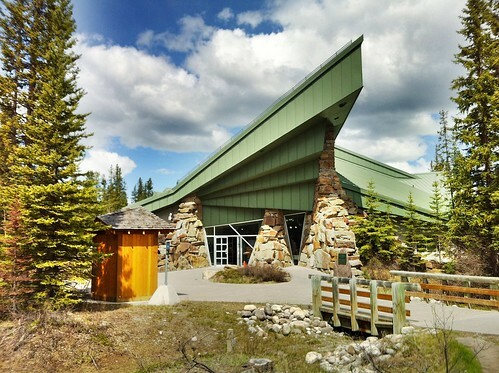 Our first order of business today was to stop at the visitor’s centre for some guidance on where to go and what to see while we are at Lake Louise. We also picked up an annual National Parks Pass. We will be in the Banff/Jasper area for a week and an annual pass worked out to only a few dollars more than what we would have paid for a weekly pass. We also grabbed two of the new hiking pamphlets for both areas. Following a quick stop at a local bakery for some treats and bottled water, we were off to Lake Louise for a little hike. We had stopped in here for a quick peak at the lake back in 2009 but we didn’t have enough time for any hiking. Well today was absolutely fantastic! We hiked down the one side of the lake, all the way to the other end and just marveled at the stunning landscape and mountains that unfolded before us as we went. The lake was still in the midst of spring thaw so the water still had a lot of ice in it and the bright blue sky gave the water an almost turquoise tone. The view of the Chateau from the far end of the lake was simply wonderful! About two hours all together. I carried my DSLR with me as well as my iPhone and couldn’t take photos fast enough. Chris was also trying the same HDR app on her iPhone and was having a lot of fun with it. The Pro HDR app is really simple to use and the results are almost always perfect. After our hike we sat on a bench at the edge of the lake in front of the Chateau sipping coffee. We watched as other tourists walked by about to do the same hike we had just finished. We saw quite a few hikers with backpacks coming back from overnighting in the bush, some with climbing ropes so there must be some great climbing around here too. We just had to have a look at the old train station before heading back to our campground. The station itself is the oldest building in Lake Louise but is now a restaurant. The old passenger car seen here is parked on the track outside the restaurant. I think the heavier HDR process works quite well here. Tomorrow we are hiking Moraine Lake rain or shine. Once back at Phaeton Place, I had time to go back through some of the photos I took in England that remained on a compact flash card. 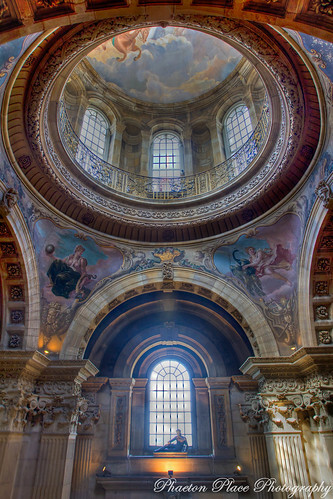 The above HDR shot is the interior dome of Castle Howard. As you can see, the detail on the walls and ceiling was something else. 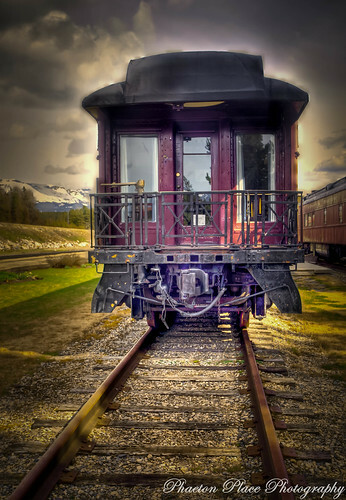 This entry was posted in Alberta, Photography. Your photos are fabulous,as always. Hmmmm. Guess I'm going to have to get the HDR Pro app. I want to have a go at that. I have a similar photo of the Chateau from the far end of the trail … absolutely breathtaking … more so in the midst of the spring break-up. I don't know if the trail or the tea house are open, but the hike up to the Lake Agnes Teahouse is a good one … the trailhead branches off from the trail you walked to the far end of Lake Louise. 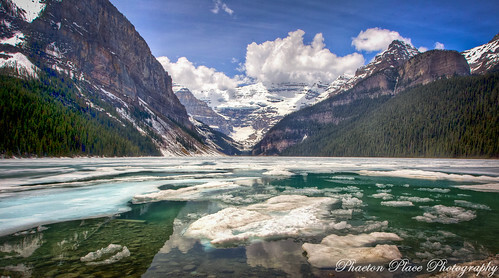 Morraine Lake is fabulous … incredible photo ops there … hope you have a calm day to catch the reflections. Since you're Canadian, I hesitate to make recommendations on places to visit since you may have been to them already … but if you'd like some ideas … my photo galleries might prove helpful … 2007 was Banff and environs; 2009 was Jasper and environs. Magical photos today, as usual…Just some of the best ever of that area…Thanks for posting. Simply incredible photos. I'm so impressed by your talent!